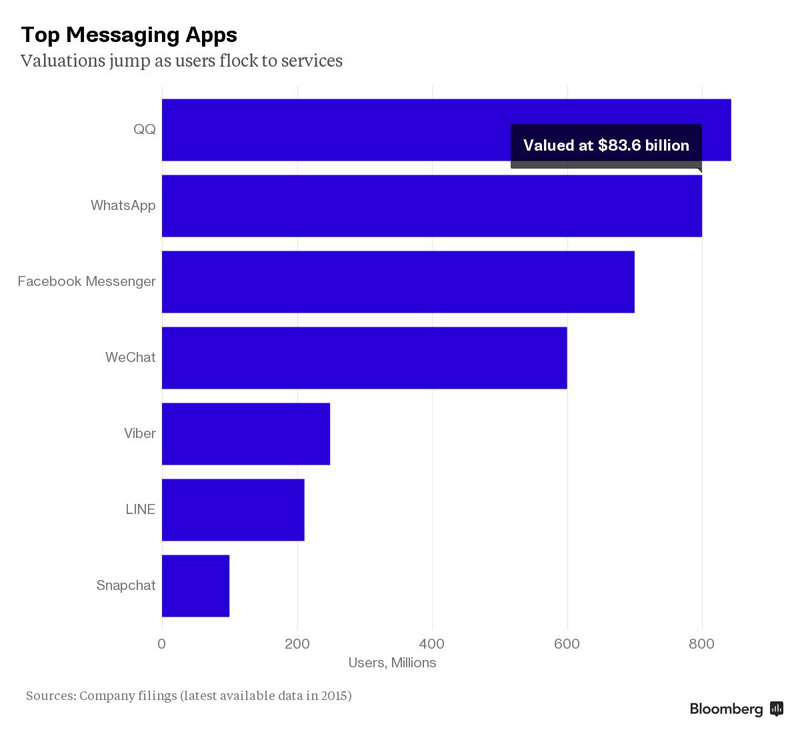 Publication Bloomberg published a rating of popularity of mobile messenger - messaging applications on smartphones, tablets and computers. In the five leaders of the two "Chinese", two American and one service, Viber, - with Belarusian roots. The most popular messenger in the world is owned by the Chinese Internet giant Tecent service QQ, which is used by 843 million people every month. Second place goes to Facebook bought for $ 18 billion last year, WhatsApp, which is used by more than 800 million people worldwide. The third - the development of private social networks, Messenger with 700 million users. The most rapid growth since the publication of the previous rankings also showed belonging Tecent service for sending short messages WeChat: for the last quarter (April to July), the number of users increased by 37% and amounted to about 600 million users. WeChat it occupies fourth place ranking. 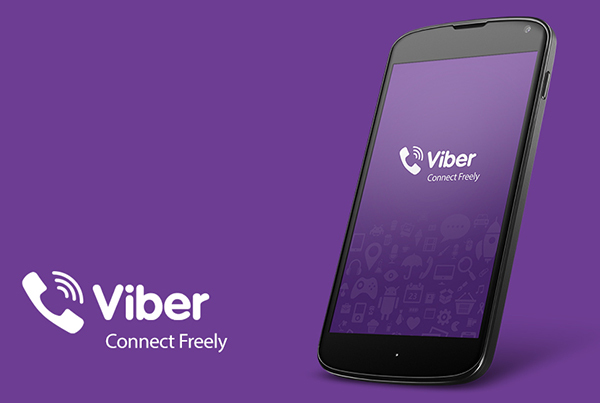 In fifth place was Viber. The most popular instant messenger "collected" 249 million monthly active users. As of January the figure was 236 million, and in early 2014 - a little less than 100 million, when the Japanese telecom giant Raketen messenger acquired for $ 900 million. Service Line in sixth place. It is very popular in Japan, and has 211 million users. Auditorium located on the seventh Snapchat is about 100 million people. Despite the fact that only a few of these services are profitable, they are considered as "building material for the ecosystem, which includes e-commerce, advertising and other business opportunities." According to recent reports, investors assess the WhatsApp to 83.6 billion dollars. The report for the second quarter Facebook in 2015 are not reported on the income, which brought the service.